Hat of pink crinoline straw. 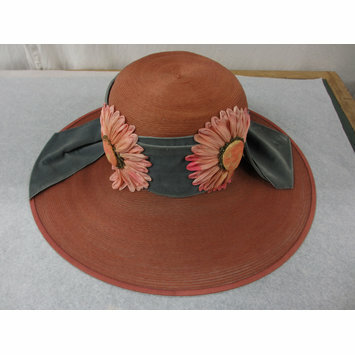 With a medium high crown with a soft creased top and a wide graduated brim. The ribbon round the crown is of blue velvet, and the ends are pulled across the brim. Large pink ribbon daisies are stitched to the band. 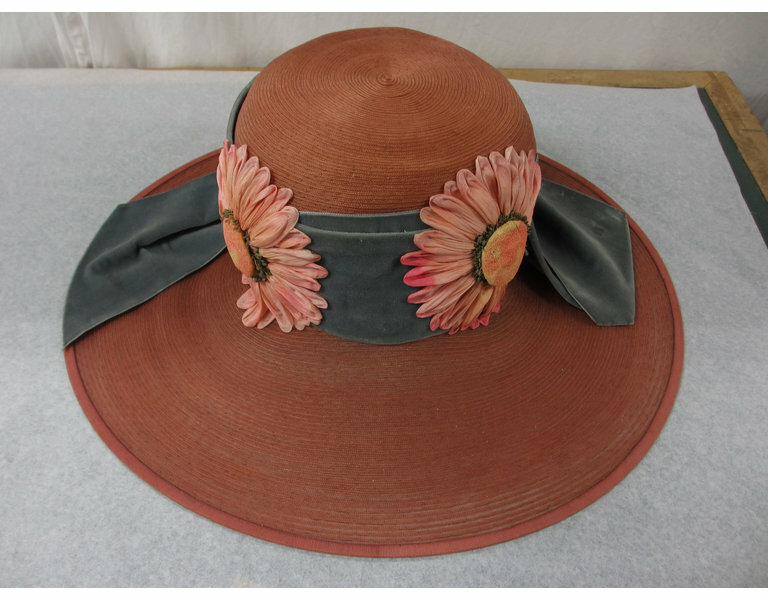 The hat has a narrow pink silk internal lining to which is stitched a label and some pink tulle.